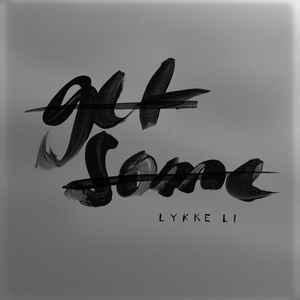 "Get Some" is the first single from Lykke Li's 2011 album, Wounded Rhymes. Beck did a remix of the song as a b-side for her single. The original version is a upbeat track, somewhat relentless with a good groove buried in there. Beck gets in there, digs out the groove and the momentum, and just leaves behind the crunchy beat. He chops Lykke's vocals all up, and adds some effects.